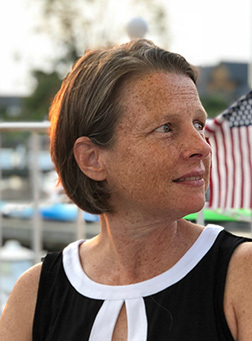 Valerie Burton's Bio: Around the time I was turning 30, I decided to leave my dream job in the New York publishing industry to join the Peace Corps. At the time, I was writing short stories and taking classes at Gotham Writers’ Workshop. After two years as a volunteer in Guatemala, I got a Master’s degree in Social Work and have worked for over 12 years investigating abuse and neglect of elderly and disabled adults. Several years ago, my desire to be a writer resurfaced. I dedicated myself to trying to write daily, worked with a coach, and took some workshops. I’ve learned so many things through writing, including how to enjoy the process and to honor the muse. I have always been inspired by Raymond Carver’s straightforward, powerful stories. My hope for my stories is that they reflect observations of life in both humorous and poignant ways. It’s always been a dream to have one of my stories win a contest, so I am ecstatic to have been selected for the top 10! When I am not at work or writing, I coordinate scholarships for students in Guatemala, advocate for animal rights, run, and play tennis. Please connect with me on LinkedIn. WOW: Congratulations on your top ten win in our Summer 2018 Flash Fiction competition! What inspired you to enter the contest? Valerie: Thank you so much! Placing in the top ten in the Summer Flash Fiction contest is the achievement of a lifelong dream for me. Through the years I have entered various writing contests, and I actually decided to stop since it seemed like I was spending a lot of money and I wasn’t getting any results. What I loved about the WOW contest was the opportunity to receive a critique, for a very reasonable price, so at least if I didn’t place in the contest I knew I would receive some constructive feedback. I actually entered this story in the Spring contest and scored a 12. I made some revisions, incorporating feedback from the critique, and submitted it again for the Summer contest. I found the whole experience very positive and supportive, and I definitely look forward to entering again. WOW: : Your entry, "Mister Softee," is a good reminder that we never really know what someone’s motivations are, and that kindness matters. Can you tell us what encouraged the idea behind your story? Valerie: I am the type of person who is easily distracted by background noise—well, beyond distracted, I find it extremely difficult to concentrate if someone is playing music or even just talking too loud. Since it is pretty much unavoidable that there will be noise in the world, I have tried to find ways to either accept it or not focus on it. I think when I wrote the first draft of Mister Softee, I was trying to convince myself that although outside noise might be annoying to me, it is not about me. The possibility that something I find to be a nuisance and a distraction could actually have a purpose I am not aware of, that I would wholly support if I were aware of it, I think is where the idea originated. There is an ice cream truck in my neighborhood that really does play Christmas music. But I have never gone out and yelled at the driver! Valerie: Most days, usually early evening, I sit at my desk and write to a prompt from one of my books. Sometimes the hardest thing is to just get started. My goal is to write one page, and usually I do more. Sometimes these exercises turn into stories and I continue working on them. I discovered that writing in the third person and naming characters in my exercises helps me with writing fiction, because otherwise the exercises come out too much like a journal. I also have found that being part of a group is where some of my best writing comes out; I’m not sure why but my muse seems to like for me to be around other writers and not writing alone all the time. WOW: Are you working on any writing projects currently? What can we plan on seeing from you in the future? Valerie: Ever since I discovered flash fiction, which was earlier in 2018, I have found it to be a fun challenge to try to tell entire stories with a limited amount of words. I definitely plan to continue writing short fiction. I love reading novels, and I attempted writing one a couple years ago that is about half done, so maybe one day I’ll be inspired to get back to that or start another. WOW: Thanks so much for chatting with us today, Valerie. Before you go, do you have any tips for our readers who may be thinking about entering writing contests? Valerie: I would encourage other writers to take advantage of the critiques offered by WOW. I am so glad I decided to put my story through the process, because that is what helped me get over the hurdle and achieve this dream. Many great achievers in life encourage us to never, ever give up, and that is why this means so much to me. Receiving recognition for "Mister Softee" is inspiration and motivation for me to keep writing and searching for what other stories are waiting to be told. Valerie--I know your advice about never giving up is valid because there's so many writing success stories that began with an endless string of rejection letters. And Valerie, I've been on the journey to write shorts this year too. I know I'll write a novel one day but I am enjoying the short story a lot and want to see where it takes me this year! Thank you Sioux and Nicole, hope you both are having success with your writing as well ... in whatever way is most meaningful for you!